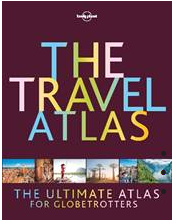 Lonely Planet’s The Travel Atlas is the ultimate cartographic companion for globetrotters. Combining unparalleled destination knowledge and mapping expertise, The Travel Atlas makes it easier than ever to find and plan incredible experiences around the world. Organised by region, The Travel Atlas includes detailed maps to every country on Earth, with popular regions and destinations presented at greater scale. Each page of mapping is accompanied by the area’s top sights and activities, as well as trip planning tools such as climate information and key transport hubs. City Maps - Detailed maps of 28 of the world’s most popular cities complete with top sights, activities and itineraries. Places of interest - Discover the best of each country and region alongside destination insight from Lonely Planet’s travel experts. Itineraries - Tour a region and its highlights with suggested itineraries lasting from three days to three weeks. The Travel Atlas will inspire readers to take a journey and explore the world.